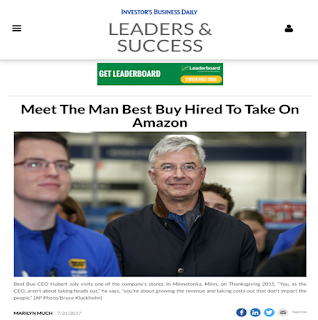 Since his appointment as CEO of Best Buy, Hubert Joly has built an impressive record of turning around the leading consumer electronics retailer by ensuring price competitiveness, matching on-line prices, and by investing in the customer experience, on-line and in the stores. When I read the article, I was struck by the resonance between Hubert's 5 Be's and the " Fair Process" model, which highlights amongst others the role of the corporate culture and the need for clarity and consistency. 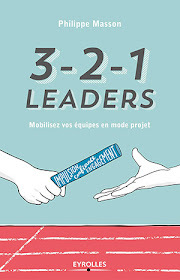 I was intrigued, though, to understand if and how Hubert Joly had been able to go through the 5 steps of a properly lead "fair process" when he made his first major decision, 30 days after his appointment. Having had the privilege of working with Hubert when he was a junior consultant at McKinsey, I have been able to interview him. The topic of the decision was the introduction of a "price-match" guarantee, whereby Best Buy would commit to reimburse the price gap to customers who would find the product they had purchased at a lower price at key online and local competitors. 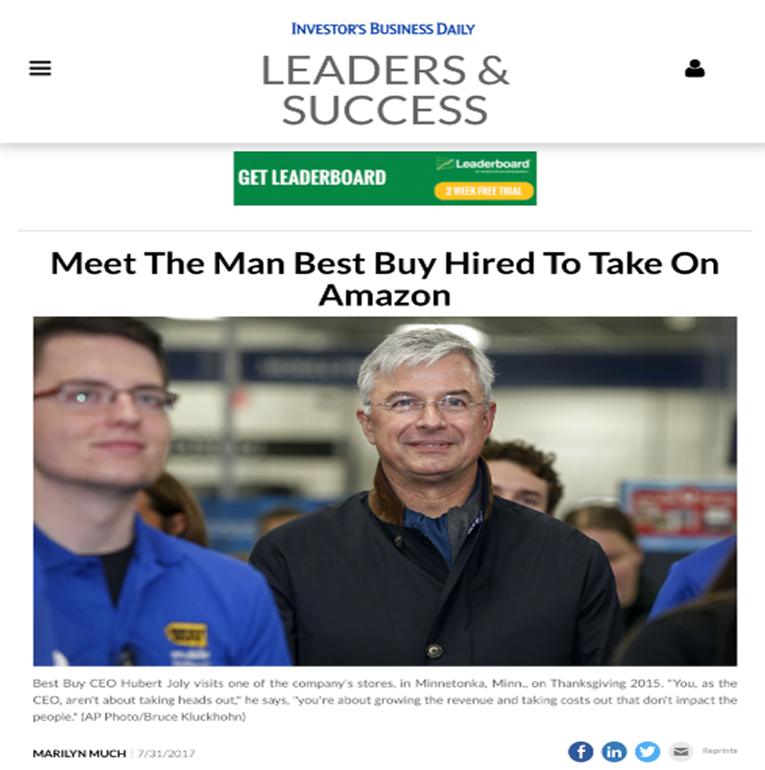 The stakes were high, as Best Buy staff felt handicapped by higher prices, but there was a fear that competitors, notably Amazon could start a price war that would ruin Best Buy. Before he started his job, and in the first weeks, Hubert Joly did a lot of studying and listening, including spending his first week on the job in four stores working alongside sales associates, listening to their observations. 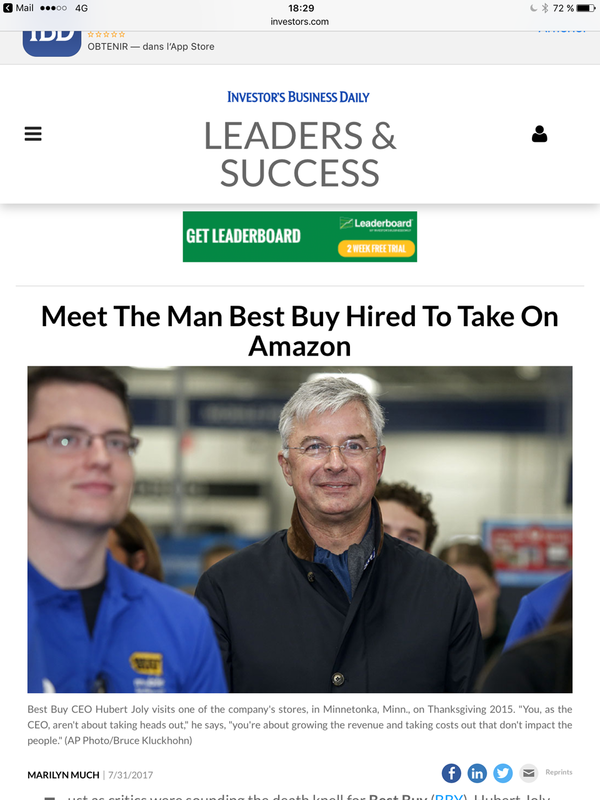 He also held a number of workshops with the top 30 people of the company, looking at facts together in an organized fashion. Finally, he was able to look at the results of a partial test the company conducted on price matching effectiveness in the Chicago market. On this basis he and his management team decided to go ahead with a new price matching policy that was launched ahead of the holiday season on a temporary basis. When the results came in, Hubert and his team were able to make this policy a permanent one. 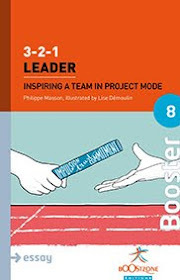 Hubert had all the arguments to explain the decision and could dedicate his energy to making the best of it through the “5 Be’s” driven execution?